This may be a repeat. I'm not sure, but even if it is, can you get tired of seeing this? Wish we could get this close to the planets. What we need is a Hubble. Then we could try to see Uranus. 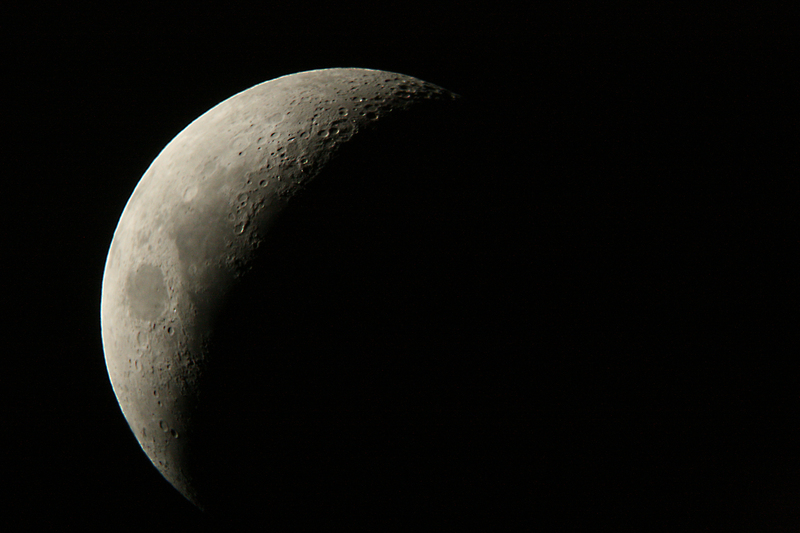 To get this photo Paul shot through his fairly powerful telescope's (not a euphemism) viewfinder. I'm not sure what we could get with just our camera, but it's certainly nothing like this. I'd like to take this photo during a Harvest Moon, but dragging out the telescope, getting it set up and calibrated take time. Pre-plan, you say? That would make sense. We're a little low on that around here. But lunacy? That we have. Previous Post The following tantrum is brought to you by Prozac. Next Post How far ’round the corner could winter be?